I have searched high and low for a way to make pixel fonts, and let me tell you, it’s a cold, unpixelated world out there. People are making the tools, but they either aren’t meant for pixel fonts, or aren’t worth the price. So after searching for long time, here is everything I’ve learned. 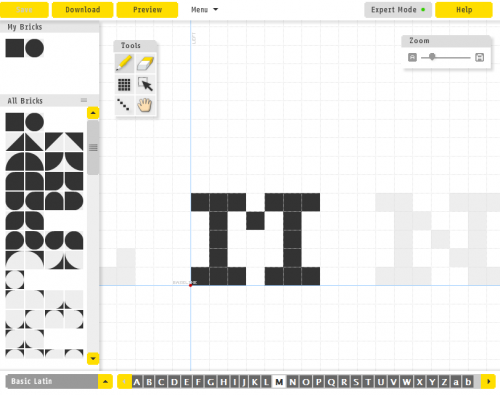 The first pixel font creator is FontStruct. 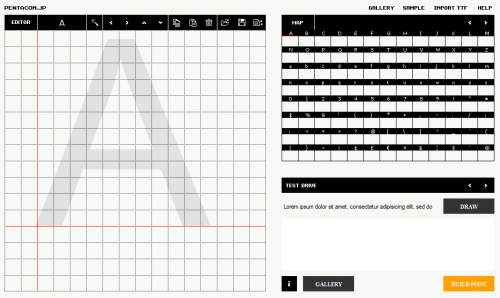 It is a free, easy to use, online font creator. With this tool you create your fonts out of blocks of all different shapes on a grid. The default shape is a square, which just happens to be what shape pixels are! How convenient! The interface is easy to understand, and while it may not be as high powered as Photoshop, I think it will give you everything you need. They support every character set you could imagine, and once you’re done, you can either publish it to their website or download the font as a .TTF TrueType Font file, and do whatever you want with it. I created my pixel font called Renew using FontStruct a couple years ago, and it has fives of thousands of downloads. You could be famous like me! Now the one tiny downside to FontStruct is that you need to sign up. 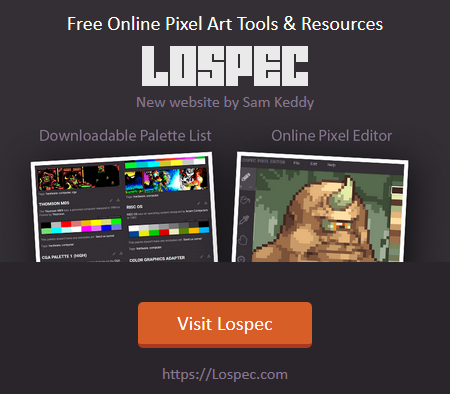 If you are better than everyone, or that’s just too much for you, luckily this tool has you covered. Just click the link, and you’re making a font. The interface is a tad less feature complete, but you can’t beat the simplicity.